Drones are probably the best invention to occur during the past few decades. With a long-life battery, ultra-HD camera as well as various flight modes, aerial photography has never been more amazing. The problem with drones is that the engines and rotors in them create many vibrations, making them quite noisy during flight time. This makes flying in discretion difficult. But what if you could get a drone that offered the best features and wasn’t noisy during flight? And if yes, are there any good models on the market? A few manufacturers have taken to building silent drones for various applications like photography and spying. Here are some of the best silent drones that are worth your attention. The Yuneec Q500, with its top-notch filming capabilities, is one of the top drones of 2017. The 4K recording functionality at 30fps is one of the most appealing features of the Yuneec Q500. This drone utilizes insulator materials on the body that are specially designed to minimize vibrations, hence little or no noise. It is also fitted with a CGO3-GB camera that produces 12 megapixel pictures with no-distortion lens. The unit comes ready to fly and has a pre-bound transmitter station that serves as the remote control. With 4K video recording at up to 120fps capabilities, this drone proves a great tool for aerial photography and video. This is a high-end professional drone that offers several configuration options. It is a good kit for beginners aspiring to venture into professional photography. It’s also good for intelligence work. 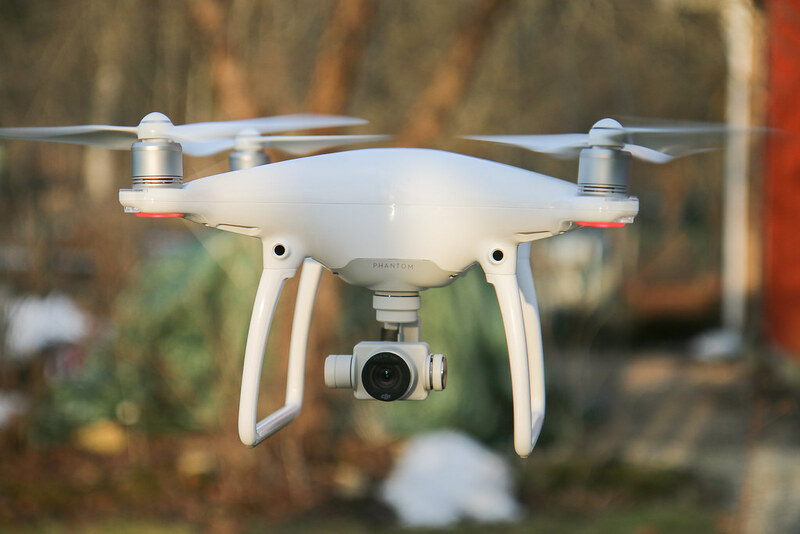 The DJI Phantom 4 utilizes GPS technology that allows for automatic takeoff and return home. This feature works together with an app to make control, monitoring and capturing imagery easy. The drone captures 4K ultra-HD video at up to 30fps and 12 megapixel photos. It has a f/2.8 lens with a large field of view so that you can capture crisp, clear images. The Gimbal stabilization technology is a welcome feature that has a hoover function and allows you to capture smooth images during flight. It offers a top speed of 40mph, has an effective operating range of 30km and can remain in air for up to 28 minutes. 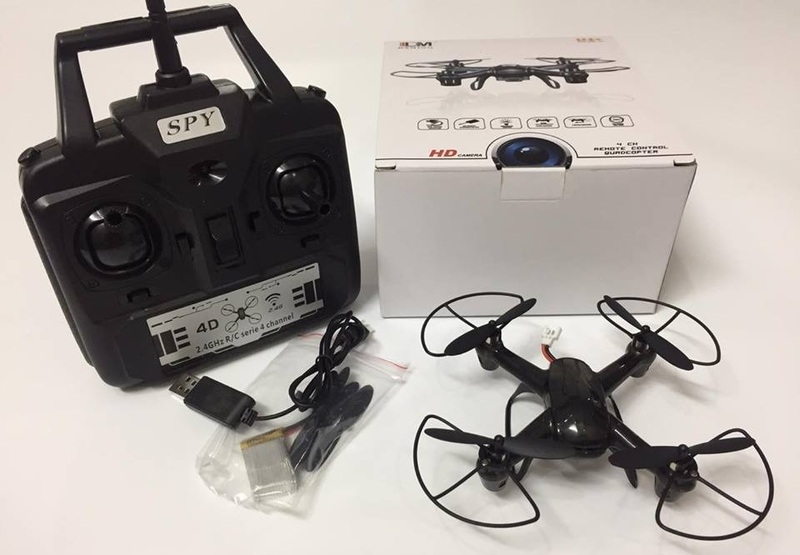 This is an affordable quadcopter from E-Wonderful that his highly rated. 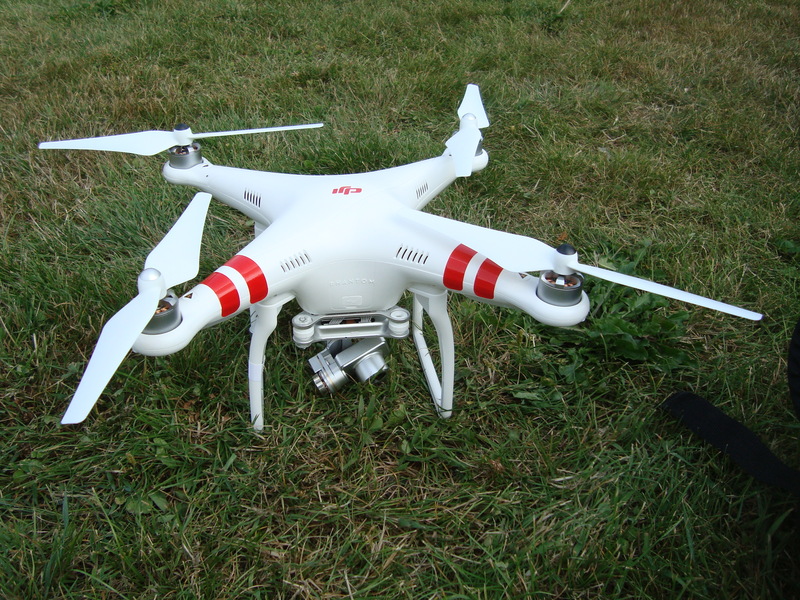 It comes with a 2.4GHz remote control and only allows for 6-8 minutes of flight time. The low noise props are a huge plus as they allow for quiet recording with minimal distractions, which cannot be said about many powerful drones. Another notable feature is the headless mode, which allows for easy control and orientation in windy conditions. 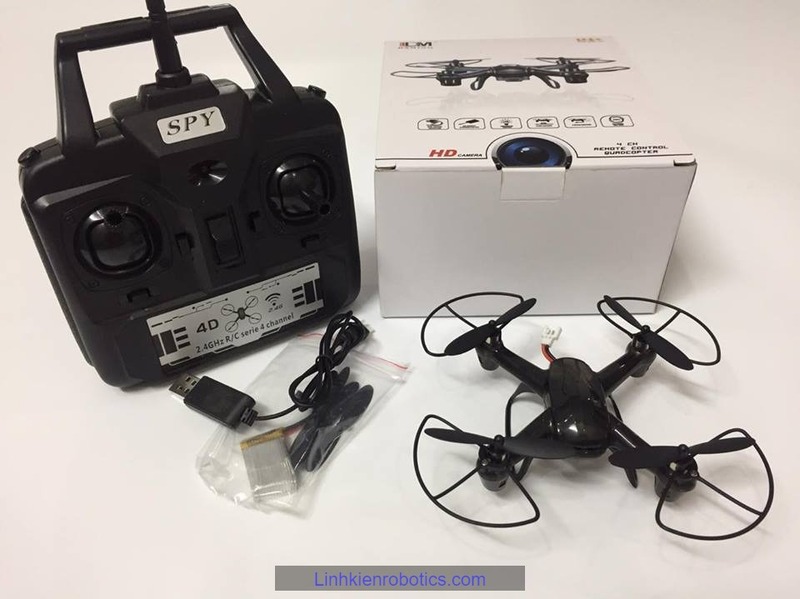 It is a great drone for the novice who wants to improve their flight skills without annoying the neighbors or spending a lot of money. 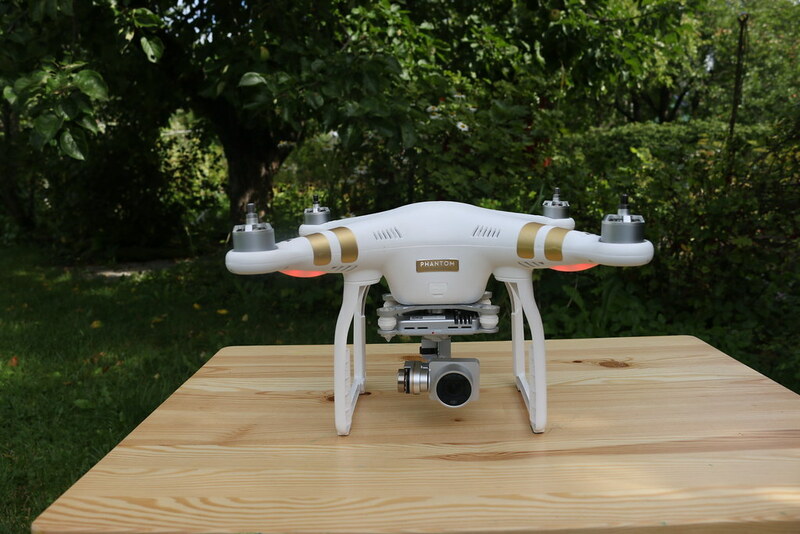 The DJI Phantom 2 Vision HD is a masterpiece that features an integrated 14MP camera. It supports Wi-Fi streaming and is fully supported on the iOS as well as Android devices. The Wi-Fi extender included strengthens the signal for up to 980 feet. The battery allows for up to 25 minutes of quiet flight time while the 3-axis gimbal makes smooth footage recording easy. The self-tightening propellers are highly efficient and specially redesigned for V3.0. This ready to fly drone is something that emergency personnel, film makers, hobbyists, extreme sport enthusiasts and journalists will find useful. Available in two versions i.e. Professional and Advanced, the DJI Phantom 3 is a consumer drone of choice. This is because of its affordability, stylish design, small size and ease of use. The difference between the two is the camera, where the Pro version shoots at 4K while the Advanced shoots at 1080p. The Phantom 3 Pro, which we are focusing on here, comes with an improved 3-axis gimbal that helps with smooth video recording. It has a Vision Positioning System that allows for stable flight indoors. You can fly this drone anywhere as long as it’s at least 15 miles from the White House. What really makes this drone quiet is the vibration absorbers, which minimizes noise during flight. Also, you might consider expanding its signal range with a DJI Phantom Signal Range Booster. If you don’t know much about piloting drones and would like to learn with a quiet model, the Parrot Mambo is a good place to start. 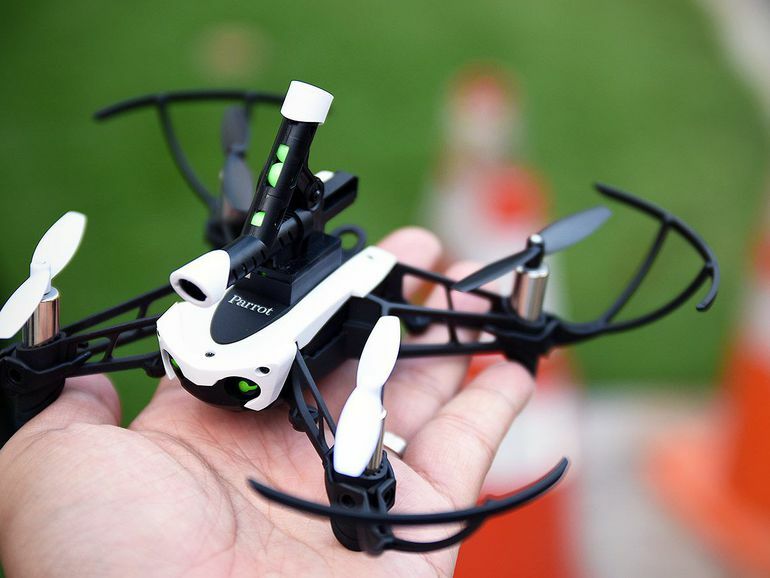 It is a little quad drone that flies via command controls on your iOS or Android smartphone. 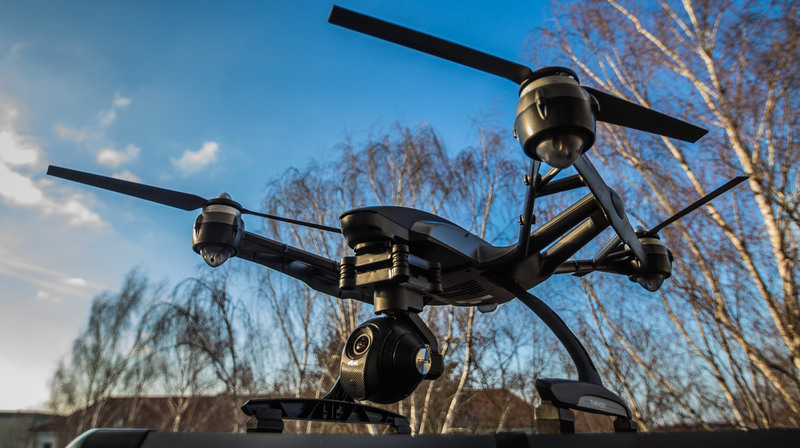 While it doesn’t have some of the fancy features like GPS and a camera, it has allows for a longer flight time than the DM300 (about 9 minutes). It is fitted with cannon attachments and a grabber, thus allowing you to blast targets with small pellets or pick up small objects. The unit is controlled using a parrot fly pad controller. Whichever drone you choose, ensure it offers the quietest model that offers adequate lift capability. It’s also important that you don’t compromise on performance and durable construction. Not sure the criteria used to select the listed drones as quite. I have only flown the DJI Phantom 3 Pro, and can attest that it is not quiet in my opinion. The drone sounds like a loud swarm of bees and can be heard at altitudes above 75 feet AGL.